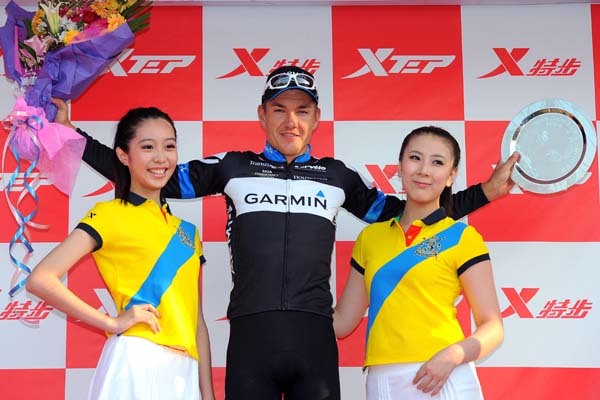 Heinrich Haussler (Garmin-Cervélo) sprinted to win Tour of Beijing stage two on Thursday in Men Tou Gou, China. 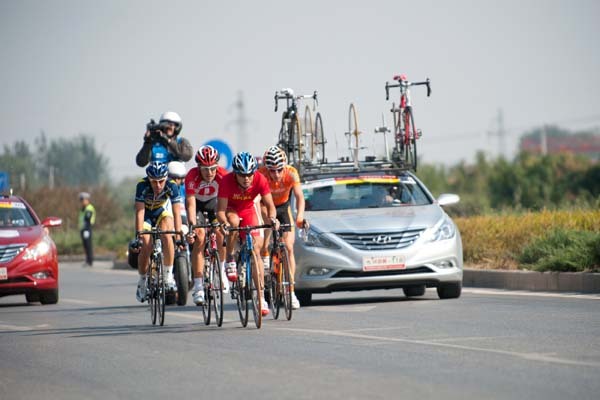 He nipped Denis Galimzyanov (Katusha) on the line after holding back an early surge by Sky’s Davide Appollonio. The Australian won two sprints in the Tour of Qatar and the points classification in Paris-Nice this spring. Knee problems, though, ruined most of his season. David Millar positioned Garmin team-mate Haussler and Paris-Roubaix winner, Johan Van Summeren for the final metres. Haussler followed Sky’s Italian sprinter, Appollonio down the left-hand side until the speed dropped. He then moved right and held off Galimzyanov’s charge by centimetres. Dutch track star, Theo Bos (Rabobank) finished third. The day started in Beijing and ended to the west, on the city’s sixth ring road in the Men Tou Gou district. The district, population 270,000, is mountainous and provided a testing circuit. The main field caught an early escape on the third and final circuit, just 12 kilometres remaining in the 137-kilometre stage. Thomas De Gendt (Vacansoleil-DCM) was the last to remain free. “The sprint was hectic, crazy,” Haussler said. “With two kilometres to go, I was still far back. Thank god Dave and Summy [Van Summeren] were there. 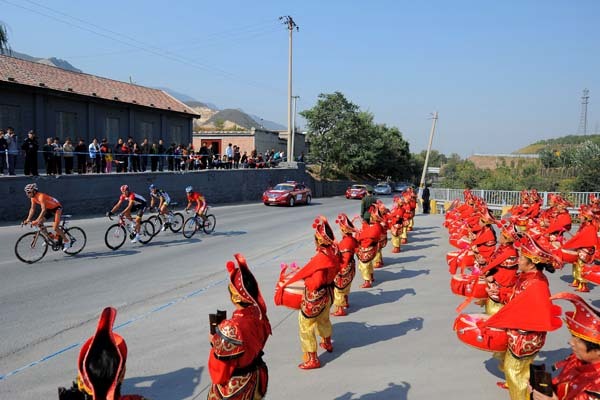 The race travels north tomorrow, along the Great Wall in Badaling and finishes in Yongning. It may prove to be the inaugural tour’s hardest day with its three category one climbs. Tony Martin (HTC-Highroad) leads the race by 17 seconds over Millar thanks to his win yesterday in the time trial. 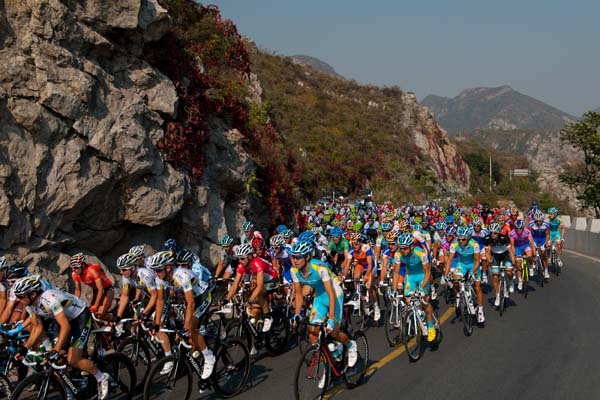 Tour of Beijing: A step forward for cycling?